At Leisureshopdirect.com we pride ourselves in helping tourers and campers find the recreational vehicle items and accessories and caravan parts they require to make their home-from-home just right. And for many of us that means making moving in, out and around our motorhomes and campervans easier. 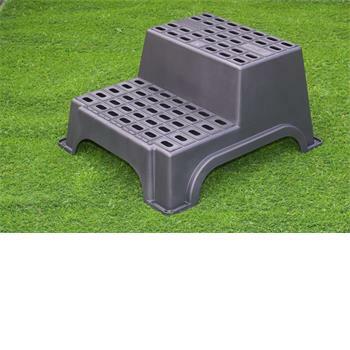 Yes, some of us are huge folk with legs like gazelles and the arm-reach of a healthy male orangutan...but not all of us are so well endowed and motorhome and caravan steps are often designed for an uncomfortably long gait. Here you will find a range of motorhome fittings that make accessing your 'van and making the all important journey onto the roof that bit easier! 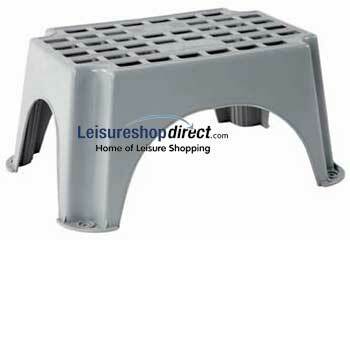 And, at Leisureshopdirect, we love making touring easier! If you are going to use a roof-mounted storage box on your 'van or need to get to the roof for cleaning and maintenance purposes, having an external ladder can be very handy indeed! 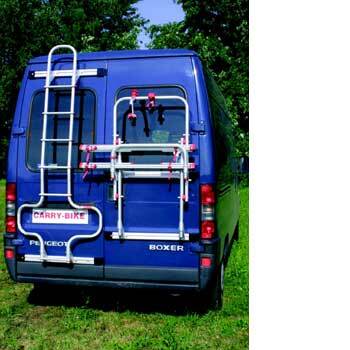 Obviously, when it comes to external ladders for accessing the roof of your 'van, each caravan or motorhome model requires a slightly different model of ladder. Fear not, we stock a wide range of Omni and Fiamma Ladders with the component parts that you will need to fit the ladder to your 'van. On these pages you will find a range of exterior caravan fittings including Caravan Grab Handles, Exterior Ladders and Caravan Steps to aid your exit or entrance into your home from home.